The grunts and oinks from Bentley and Oscar started up immediately as we walked into their stall at Pasado’s Safe Haven. Stacie Martin, the sanctuary director of operations, was giving us a tour, and she kept saying we should come meet the pigs. But clearly, we were there for the pigs to meet us. Bentley a stout, pink Potbelly pig had a lot to say — particularly where to scratch on his back and grunts of hello to my husband, who joined me on the tour. Pasado’s is a unique place as a sanctuary for all types of animals, but also for their work changing law. In its nearly 15-year history, the organization has pressed through anti-cruelty laws that made many types of animal abuse toward companion and farm animals a felony in Washington state. The sanctuary is named for the loss of a loved one: a beloved donkey named Pasado, who was brutally beaten and killed by teenagers. In the wake of his death, the founders of Pasado’s Safe Haven made it their mission to require stiff penalties for animal cruelty and to see that justice is served. In that fine tradition, today, Pasado’s employs three animal-cruelty investigators and, this year alone, has re-homed or provided sanctuary to more than 700 animals in need. 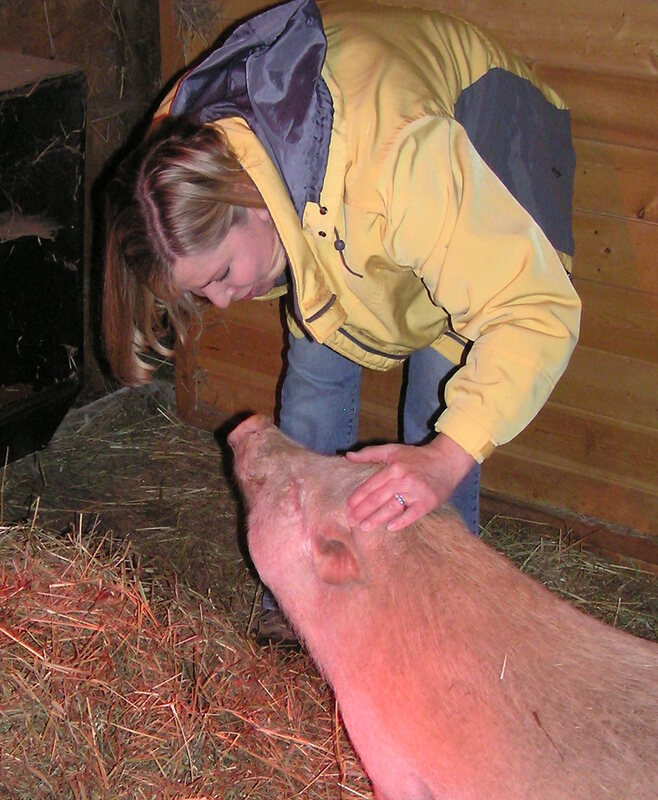 Many of the sanctuary animals are rescues from cruelty investigations. A chicken barn full of white to red, big to small chickens, roosters and even a rogue turkey was our next stop. Martin explained that 50 of the white birds had come from a factory farm in Turlock, Calif., where 50,000 hens were left to starve to death earlier this year. Local animal-control agencies found 17,000 hens dead on arrival. Animal Place, a farm-animal sanctuary in California, took more than 4,000 of the hens, and other organizations like Farm Sanctuary and Pasado’s took hens as well. Now, with the freedom to walk around and to act like a chicken, these hens — unlike their pig neighbors — had little concern for our presence at the twilight roosting hour. 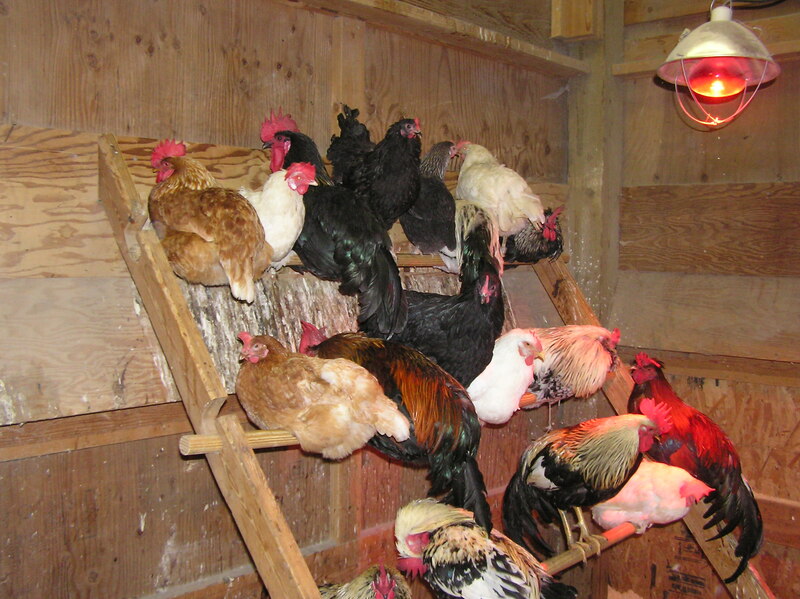 But the difference between the conditions shown in a photo of battery-caged chickens on the barn wall and the busy, nesting white hens before me was not just visual — it was palpable. These animals had been rescued from horrible conditions, and they intended to live their lives uninterrupted from now on. 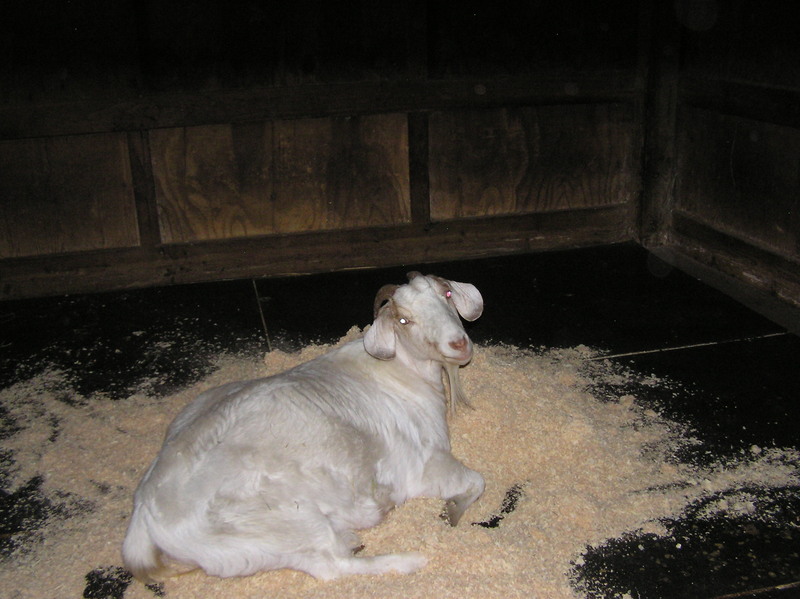 Our tour continued to meet some goats tucked into piles of wood chips for the night. Whoopi Goatberg came to the stall door to observe and say hello to Martin. “We have a bunch of animals named for celebrities,” Martin explained, rattling off a list that included Michelle O’Llama, Ellen Deheneras and George Plummy. Pasado’s is built on 85 acres of rocky, steep, forested land just east of Seattle. Generous donors have enabled continuous building and rebuilding to accommodate all types of animals, from goats to cats. With the exception of the abusive pasts that so many of these animals suffered, this sanctuary is farm life as it should be: safe, comfortable, clean and honest. By its very existence, it is advocacy against the modern factory farm. 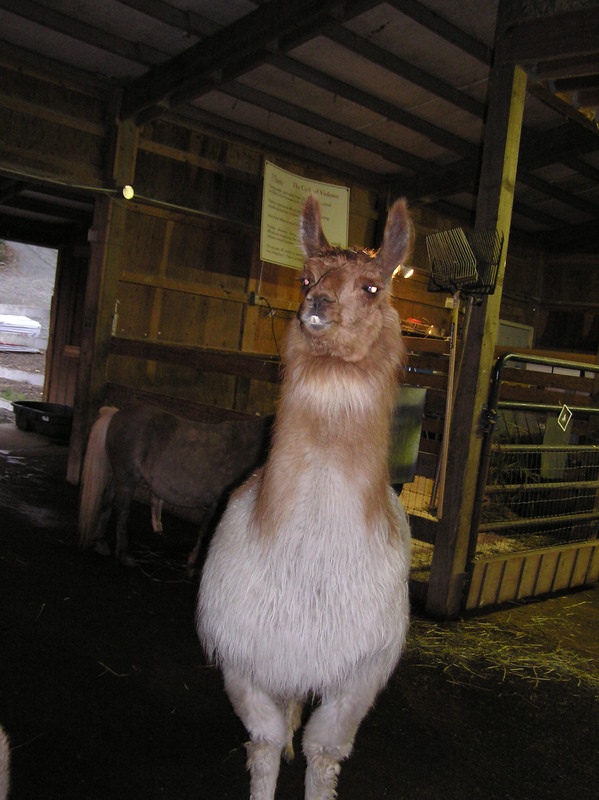 As we entered a central hillside barn, we met Dali Llama, the protector of his herd. 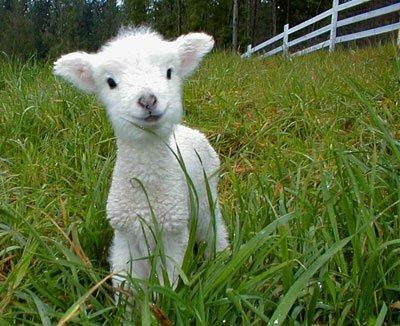 Nonviolent and clear in his convictions, as his name suggests, Dali watched over a donkey, two ponies, three little pigs and three sheep: Lady Baa Baa, Bo Peep and Lamb Chop. “We give some of the animals names that reminds people of the food they eat.” Martin explained. The intention is to bring awareness to the fact that precious lives are lost for meat consumption, and Lamp Chop was certainly precious. 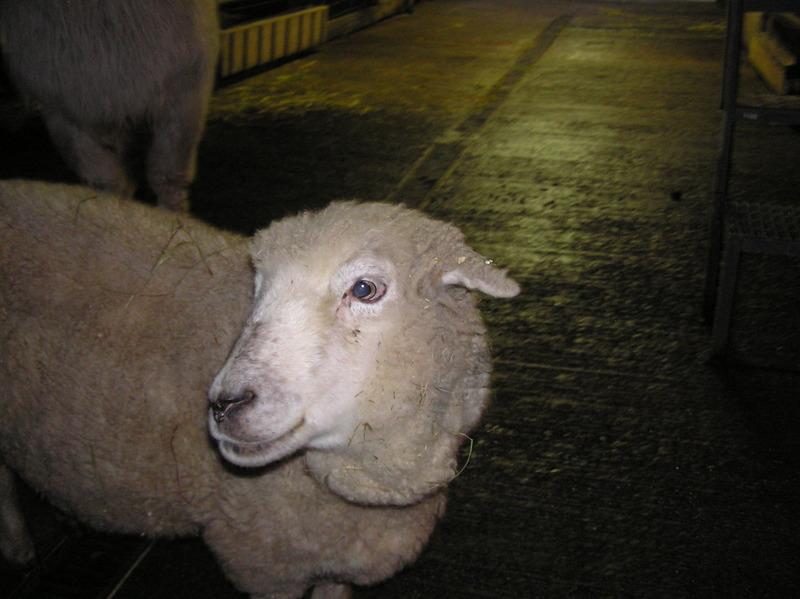 Roaming the barn with sheep and pigs, you cannot help but be reminded that these are the lucky ones, because modern agriculture has turned barns into factories where animals are caged and crated indefinitely and where antibiotics must be used to prevent sickness in atrocious and unhealthy conditions. So this Thanksgiving at Pasado’s, human guests ate a gourmet vegan meal prepared by chef Bridget McNasser, and an honorary meal was served to the resident turkeys as reminder of the new role that animals can play during the holidays: “where turkeys are the guest of honor and not the main course.” The event was a fund-raiser for the sanctuary and a reminder that the holidays need not be about meat. Our tour with Martin was completed with a walk past some tail-wagging dogs and feral cats. As my husband and I drove home, we reflected on each of the sweet faces and unique personalities we had met in such a short evening at the sanctuary. While thinking of Lamp Chop’s serene presence to Bentley’s informative oinks, my husband asked, “Shall we have Tofurky or the vegan Field Roast for Christmas dinner?” I’m still deciding, but delighted to know I have lots of options for a humane holiday meal. For more information on Pasado’s Safe Haven, visit http://www.pasadosafehaven.org. CHRISTIE LAGALLY is host of “Living Humane” on KKNW 1150 AM and writes a blog called “Sniffing Out Home: A Search for Animal Welfare Solutions” at HYPERLINK “http://www.sniffingouthome.org&#8221; http://www.sniffingouthome.org. To comment on this story, write to CityLivingEditor@nwlink.com.